« Why we do what we do. 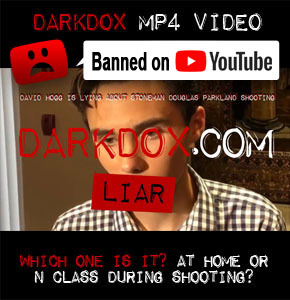 BREAKING: David Hogg Can’t Get His Story Straight on Parkland Shooting Video Blocked on YouTube, which is Censoring and Disabling Live Stream to DarkDox because we posted it! 6-6-18 (DarkDox.com) I had a feeling about this one. When we first saw this video of David Hogg saying he was at two different places in two separate interviews during the first shots of the Parkland school shooting, that it would not be a very popular video among the gun grabbing goons that run Google. That’s right! The video below has just earned DarkDox.com‘s illustrious badge of honor “BANNED ON YOUTUBE“!!! Click the image to download the banned video. It doesn’t end there! We also find it very fascinating that his house was “swatted” yesterday. We suspect that the call was made by Hogg himself or someone associated with them to have a platform to promote their March For Our Lives: Road to Change. Why was this video banned on YouTube? I’ll tell you why. It contains David Hogg making TWO DIFFERENT STATEMENTS as to where he was during the first shots of the Parkland school shooting. 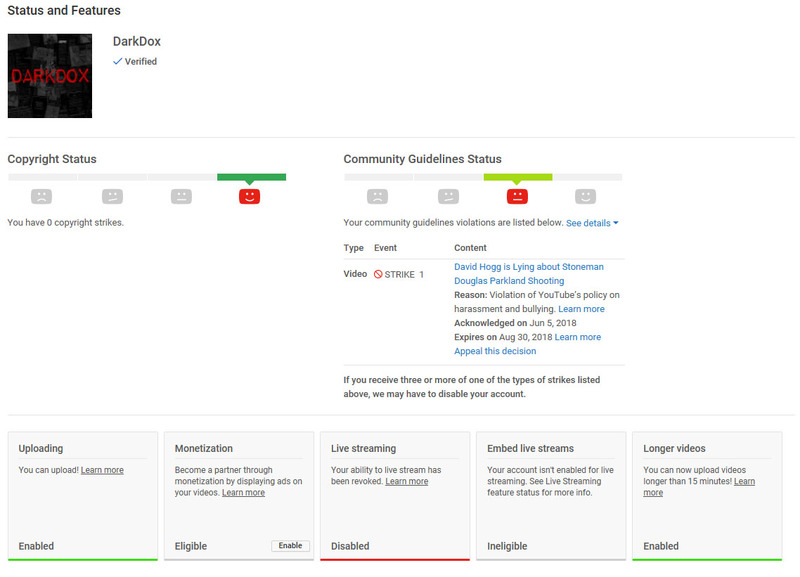 Not only did YouTube pull the video, the DISABLED DarkDox’s ability to LIVE STREAM on YouTube. We will be making a video about this. Stay tuned. This is information warfare.